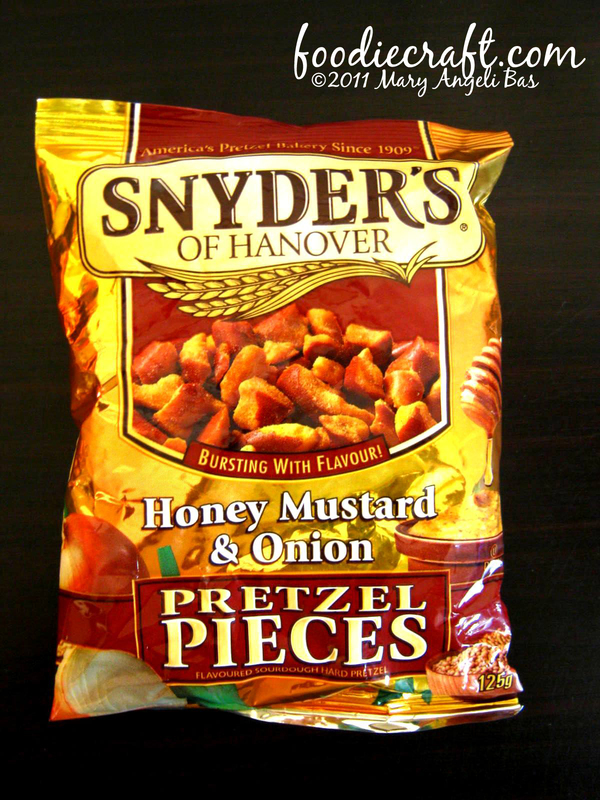 I am addicted to the 'Honey Mustard & Onion Pretzel Pieces' from Snyder's of Hanover. My mum used to buy them for me when I was home from Mac's Convenience. I know of one Mac's convenience in Toronto but that is a street car ride away! Snyder's of Hanover is a bakery and snack food distribution company based in Hanover , Pennsylvania, specializing in pretzels. Snyder's of Hanover is the #1 pretzel company in the United States (surpassing even Frito Lay), and also the global leader in pretzel sales. Snyder's of Hanover is the #2 salty snack foods company overall. Its products are sold throughout the United States, Canada, many European nations, Asia, and in the Middle East. The bakery offers 25 varieties of traditional pretzels and in addition, pretzel pieces, pretzel sandwiches, chocolate-coated pretzels, organic and gluten-free pretzels, potato chips, and other snack foods.